First Come – First served. Applies to Johannesburg ; Pretoria, Centurion , Durban and Cape Town. Additional travel costs may apply to areas outside of the central metropolitan areas- we will quote on this prior to confirming your booking. 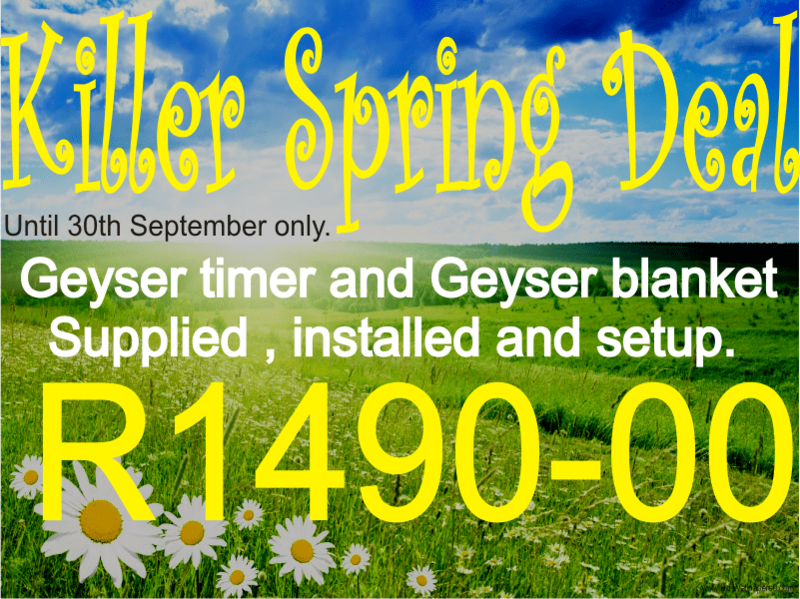 Excludes the cost of the geyser timer housing – if required. Includes the hot water pipe insulation to a maximum of 2 m from the geyser. Completing the form below confirms your booking. Payment is done by EFT only,no payment made to the installer. Payment must be made no later within 24 hours of installation. Please see the Saving Energy Terms and Conditions before completing this form. All bookings made on or before September 30th will be honoured at the special price.